Availability: This item is custom made and will be manufactured as per our current lead time. Please Contact Us for details. The FS Tri pad is made from a perfroated, stretchable compound which results in a highly breathable and rapid drying seat pad. These features help to reduce irritation and will ensure you stay comfortable through each of the disciplines and transitions. The Impsport Tri Suit offers performance, style and comfort through all disciplines. Price (including VAT) per unit. A minimum of 5 per style of this item must be ordered before production can commence. Mens, womens and junior garments are separate styles. 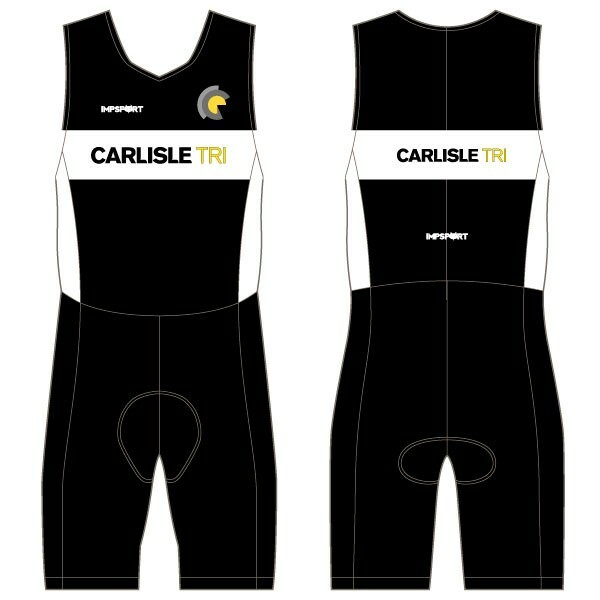 Classic sleeveless Tri Suit boasts optimum performance. Manufactured using ClimaCore and ClimaTec fabrics, designed to wick moisture away from the body quickly, keeping you cool and dry. Shorts middles are manufactured using hard-wearing pre-dyed lycras. Finished with a 3/4 length concealed zip to the front for maximum design application. Tight, professional fit, helps keep muscles warm and optimise performance. Elasticated arm holes for improved fit and comfort. 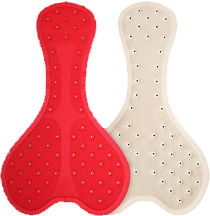 Narrow Dolomiti Bioactive seat pad for excellent comfort in all disciplines. Silicone leg gripper system helps eliminate unwanted movement.